Hi Brent. I’ve looked here and throughout their site but don’t see any mention of whether the $200 developers kit comes with their ‘four conductor’ plug. And BTW, ‘four conductor’? That is not a style of audio connector I’m familiar with. I would likely use my own Amrex electrodes though the edge device is interesting. Still leaves the small matter of plugging into the box. Details in my next blog post. Espero con impaciencia tus proximos articulos, me acaba de llegar a casa el Foc.us V2 Gamer y la verdad que estoy un poco perdido ya que soy nuevo en este mundo. I look forward to your upcoming articles, I just came home the Foc.us Gamer V2 and the truth I’m a little lost as I am new to this world. 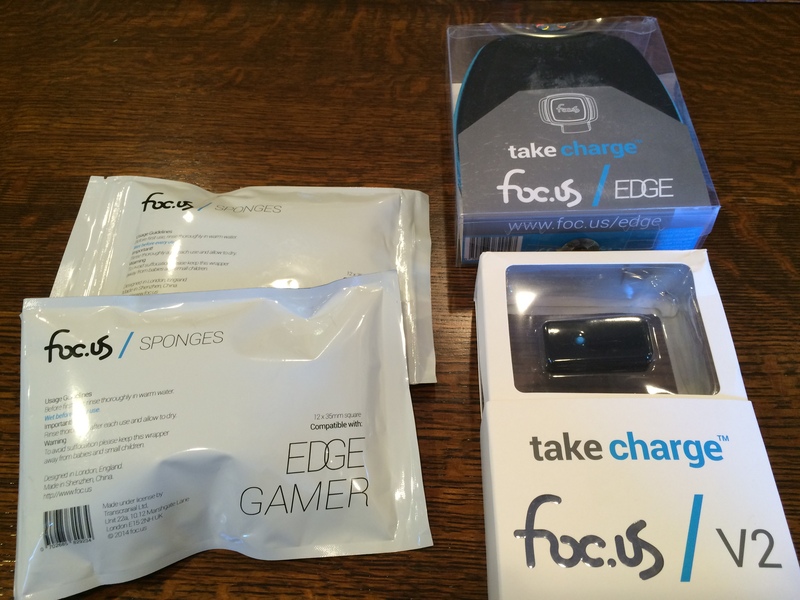 I bought a foc.us device, along with the edge headset… I received it today and I must say I’m a little disappointed. There is no way of determining which was the cathode or the anode, if you hadn’t mentioned that one of the things goes on the shoulder I would still be lost. As it is, the strap seems to have the velco on the wrong side, which makes it impossible to wear. The fact that there isn’t more flexibility in making the placements is also a disappointment. 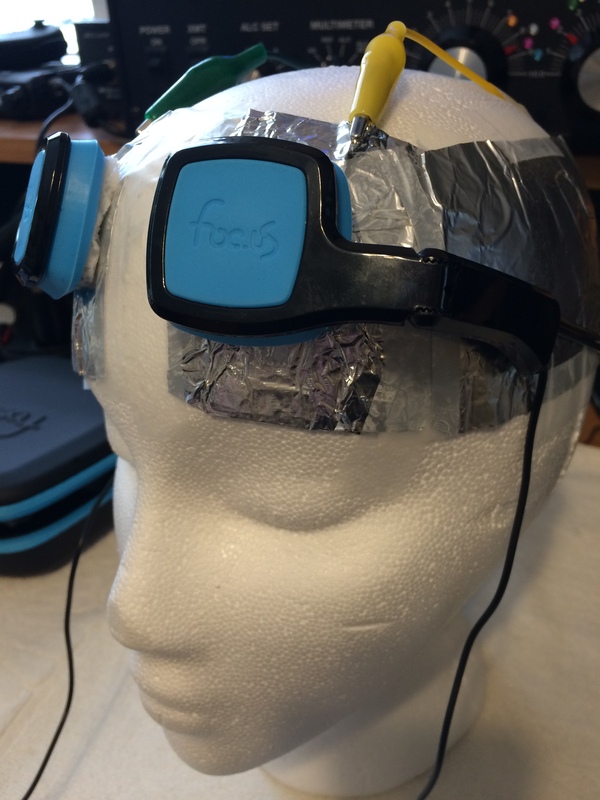 That the tdcs subreddit recommends against the foc.us v1 doesn’t help my confidence. To top it off, the foc.us website is down. I realise now that there are several less flashy tdcs devices which would probably be better for my needs. Serves me right for not shopping around I guess :(. Did you look at the pictures on their web site? 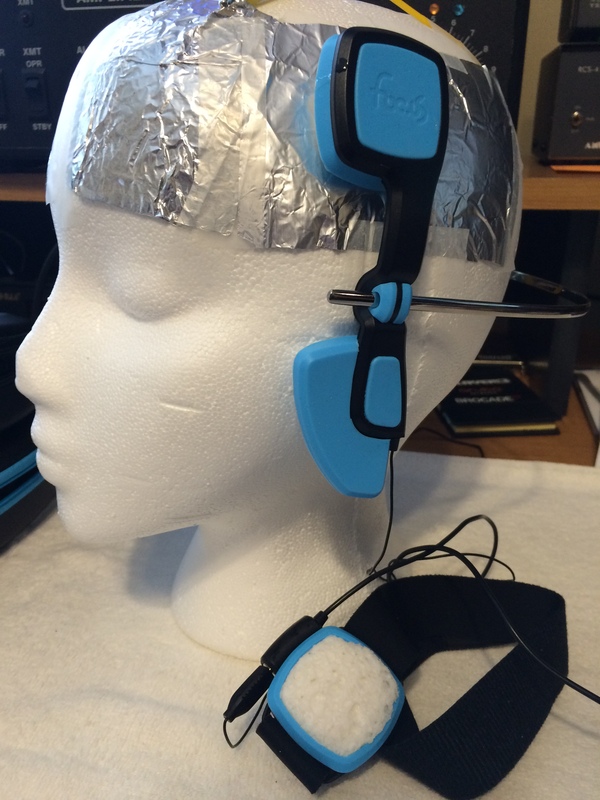 The Edge headset is clearly marketed towards athletic improvement – definitely an experimental area of tDCS. It is not a general purpose tDCS headset. 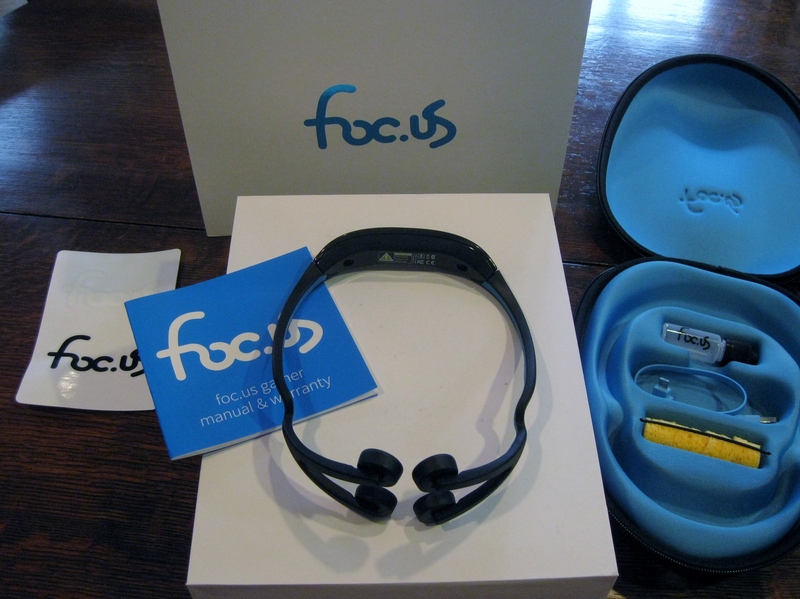 Also, if you will look CLOSELY at the pics and you will see how the strap goes ( http://www.foc.us/index.php/edge-tdcs-headset ). You have it backwards. I can’t comment on the web site being down – because I just checked it and it is up. It’s very important that anyone considering tDCS carefully do their homework. If you are not satisfied with the foc.us product, it is my experience they will take it back and issue a refund. You are correct, the site is not down, for some reason I can’t connect to it :\. As for the other stuff, I think I’ll be able to manage, the very uninformative manual and the site appearing to be down put me in a tailspin. It would be nice if the edge headset was detachable from the arm it has, but I can live with that I think. I’m a little concerned that the nickel plates are already starting to show signs of corrosion after a day of use, but I’ll see how it goes. Hi Brent. I received my foc.us v2 and gamer headset a few days ago. Unfortunately, I can’t charge it because (as far as I can tell) the USB charger requires running a Windows system with foc.us USB drivers. Since I run a Mac, I can’t load such drivers. I have had it plugged into my Mac for a few days and it doesn’t power up at all. I contacted foc.us who only told me that I need to run the window drivers. Do you have any info about how else I might charge this thing up? Also, I’d love to know more details about how you adapted the 4-conductor plug to use your own leads, etc. You can plug the base into any USB charger. Do you have a USB cell phone charger around (or something similar – like an iPad charger)? I do have other USB chargers around and have tried them without luck. 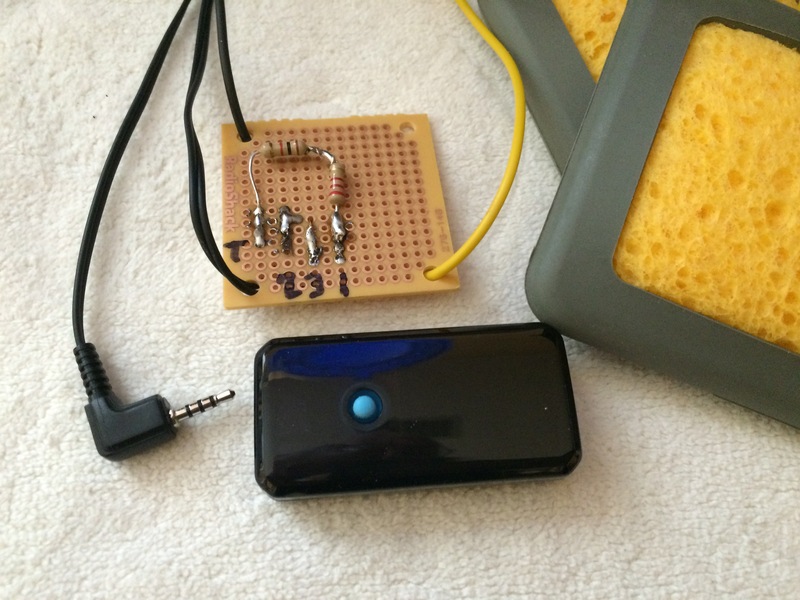 Whenever I pull the device out of the charger and hold down the blue selector, I never see anything on the tdcs device. This is true whether I have the headset plugged into the device or not. You might have a defective unit. There is a charge indicator. 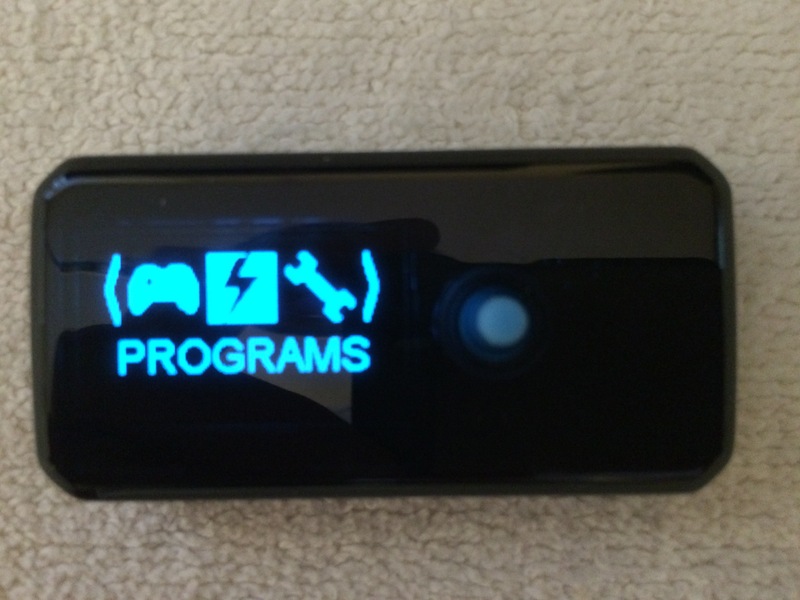 The florescent display shows an outline of a battery and how full it is as it charges. I’ve used several different usb chargers with it and all worked. It turned out the unit was defective. I corresponded with Michael Oxley at foc.us and he had a new unit to me the next day (from the UK even). It’s charging right now (I see the battery indicator on the device that you mentioned). I’m impressed with their response. I was not as lucky as Dann. I purchased the V2 and Gamer headset, but it has never worked properly. Shortly after I got it, it became impossible to turn the unit off. After the battery ran down, I was able to recharge it and it worked for a couple of days. Now, after fully charging the unit, it won’t turn on. Two weeks ago, I sent an email to Foc.us explaining the problem. They responded reasonably quickly saying they would be in touch with me within 2 business days. To date, I have yet to hear from them, even after sending a follow up email. It seems to me that they are selling a shoddy but expensive product and one has no recourse when they ignore their customers. You receiving a defective device doesn’t mean they have a shoddy product. Give their support another shot – and try mike@foc.us . If that doesn’t work email me again. Their support seems to be a bit variable which is not good. Yes, Mike actually has been quite responsive to me. I had a problem some time later with my replacement device and Mike again was able to get a replacement device shipped to me promptly. I wish the first replacement device didn’t die, but that kind of thing happens sometimes. I’ve been quite happy with how they responded when it did. Why was my post deleted? Was it, perhaps, too critical of Foc.us? Sorry – I do this blog as my time permits. I just caught up will all the comments / emails. Can a person update the v1.0 version with update software made for the v2.0 or is someone stuck with what the v1.0 has? Also, do you know if the new program they have out on android for v2.0 also work on the v1.0 version? I would prefer to buy the v1.0 version from this person because it will be much less expensive than buying the new 2.0 version from the site. Not to mention I have read negative stories all over the place on the orders taking forever to show up- or not showing up all and many people unable to get any response from the company which has me very concerned- so I might rather just order from someone that already has their device. Also, does the v1.0 do the 4 different functions the v2.0 does? With up to 2.0 mA? The direct current, the alternating current, the pulse current and the random noise current? Are the Hz leves the same as well, and volt amounts the same from the 1.0 to the 2.0? I would SO appreciate a response back, thank you! The v2 and v1 are completely different. The v2 is much more versatile. If you are going to buy a v1, I would suggest you also get the accessory kit – but I suggest the v2 if possible. I caution anyone purchasing the V2 until they upgrade their customer support options. They don’t have a number to call and they don’t respond to email. The latest software they put out bricked my device. And they don’t appear to want to own up to it. Have foc.us replied to you?. I’m hesitant to purchase due to your customer service experience. Today is 20150826. It is 17 days since you posted your warning. Any response? Hi Eric, Nope! I’ve posted on their facebook AND twitter. Many are having the same issue. Though it’s really cool, I wouldn’t take the chance of getting a bricked version. Some people are receiving them Dead on arrival without any response back. My v2 is still bricked. Others have sent back, without replacements. The company basically stole from them. Please put a detailed log of who to use V2 with the headset usage please. Your V1 log was really well put together. I am a newbie and trying to understand proper usage.